The conference on Translation and Entrepreneurship held for the first time in Madrid on May 24, 2013, at the Conference Hall of the CSIC (Science Research Council) Student Residence was an activity organised by Leon Hunter Mentoring. The purpose of the conference was to continue building on the voluntary work of Leon Hunter, S.L. in the Mentoring Programme created to assist new translation entrepreneurs and freelancers in starting their businesses. 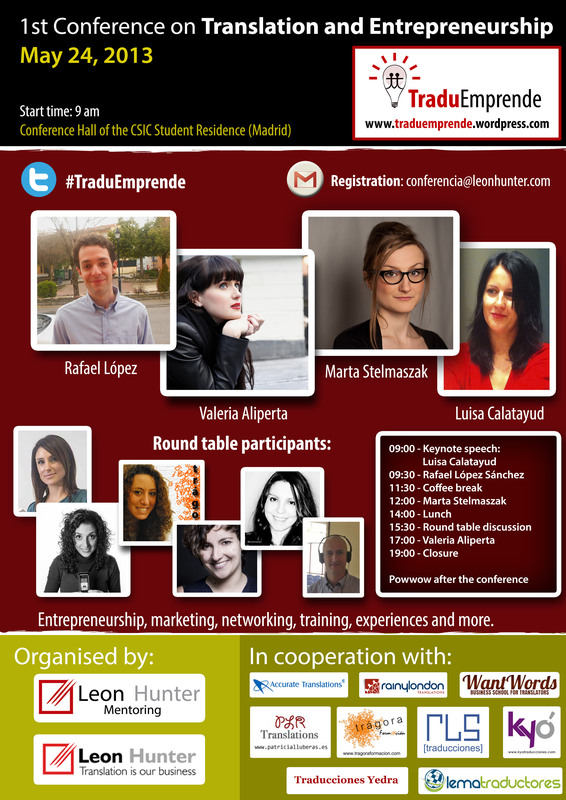 The conference was particularly focused on young entrepreneurs and deals with business issues of translation. Some of the most relevant discussions were about: finding clients and keeping them, how to sell translation services, setting rates, making the most of 2.0 marketing, and negotiation, among other topics. In short, anything that would help entrepreneurs and prospective entrepreneurs to make their businesses a success. The next event is taking place in Barcelona in November 2013. 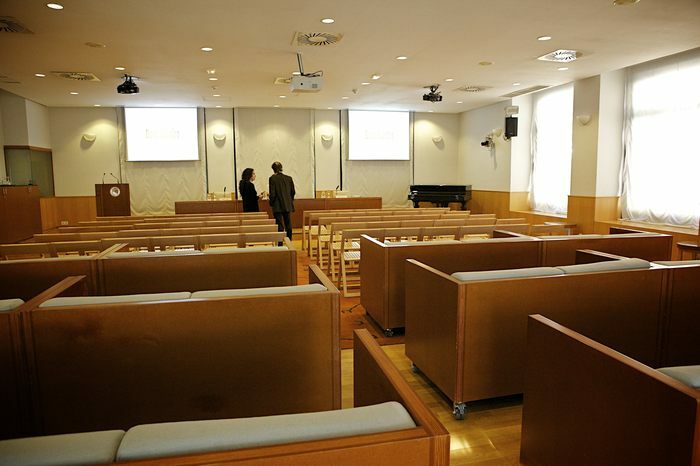 The event took place in Madrid on May 24 at the Conference Hall of the CSIC (Science Research Council) Student Residence (C/ Pinar 23-24, Madrid).